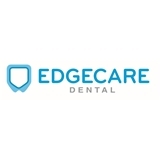 EDGECARE DENTAL (Scarsdale) - Book Appointment Online! We value safety and patient-focused treatment. Visit our brand new, state-of-the-art office equipped with double-filtrated, clean chair water for treatment. Our experienced team provides all the dentistry services you may need. I have been postponing my tooth extraction imaging the humongous pain it would leave. But surprisingly Dr Choi made it so easy. I couldn’t feel the pain at all and he was so warm n welcoming. He was sensible to my pain n made it so easy that in less than 1 hour he took my two wisdom tooth with root canal infection effortlessly. Probably the best doctor anyone would ever want to get treated. Other doctors quoted huge bills but he charged me way less than what I anticipated with wonderful service. I would definitely recommend him to all my family n friends. Please do visit him for best painless treatment and affordable services. Dr Chai I’m in loveee with you and your treatment! !